I have two stunning Yottam Ottolenghi books, Plenty and Jerusalem, sitting on my table and a plethora of recipes tagged to make as we start cooking with him for the next six months at I Heart Cooking Clubs beginning next week. I have formed a habit of welcoming in our new IHCC chefs with a bowl of soup. I figure if a chef and I bond with a great soup, we will continue to get along well. ;-) Not that I doubt Ottolenghi and I will cook brilliantly together based on the recipes I have marked so far and his Green Couscous recipe, the first Ottolenghi recipe I tried a while back. There are plenty of soup recipes in both of the cookbooks, but it was this recipe for Herb, Chard, and Feta Soup I pulled from Bon Appétit that I had to make first. Although referred to as a winter soup in the magazine, with all the green, I think it leans into spring nicely and the chard, herbs and feta could all be picked up at my local farmers market. Place 1/3 of yogurt in a medium bowl. Add 1/2 cup warm soup; whisk until smooth. Repeat process twice more, adding a total of 1 cup more soup. Whisk yogurt mixture into soup in saucepan. 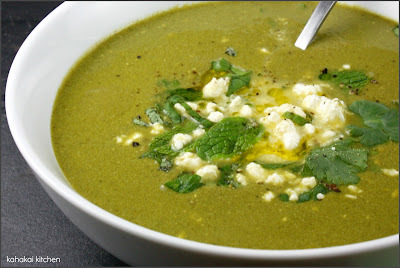 Stir 1/4 cup herbs and half of feta into soup. Season to taste with salt, pepper, and lemon juice, if desired. 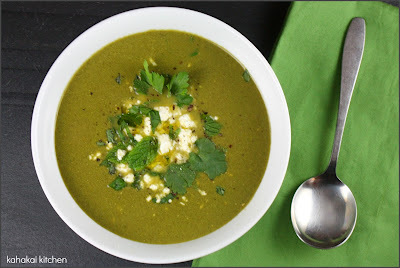 Ladle soup into bowls and garnish with remaining 1/4 cup herbs and 2 oz. feta. Drizzle with oil, if desired. 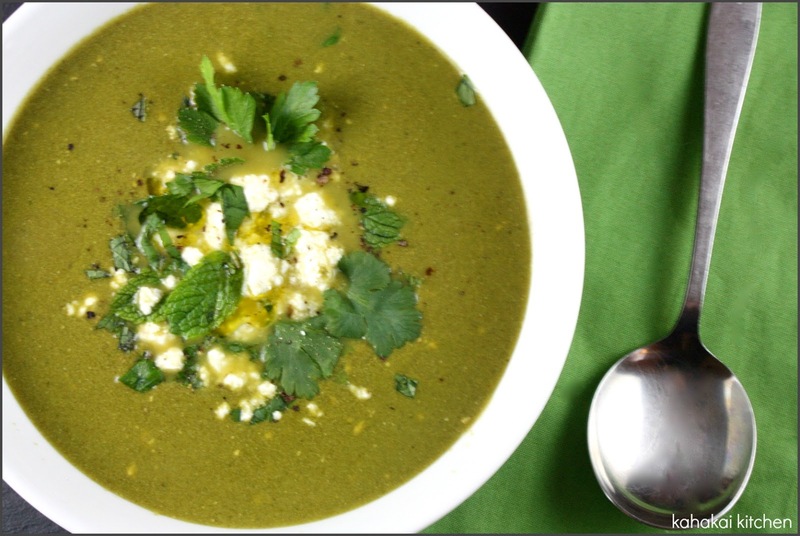 Notes/Results: This is a really good soup--full of glorious green herby flavor and quick and easy to make. The yogurt, lemon and feta keep the flavors balanced and prevent it from being too green tasting. Go as fresh as you can here--the herbs and mixed (rainbow and Swiss) chard I used were all locally grown and it shows in the soup's taste. The smallish bunch of chard I bought only yielded about 8 cups with the stems and centers pulled off so I added about 3 1/2 cups of baby spinach to make sure I had enough greens. I found that between the broth (I used "no chicken" base in water) yogurt and feta, (locally made from Naked Cow Dairy and delicious), and the lemon juice, no extra salt was needed. This is the kind of soup that you feed your body and it sighs in relief and tells you it is willing to overlook the 3/4-bag of Cadbury Mini Eggs and other junk that you consumed this weekend. ;-) A small bowl of this soup would be an excellent way to start a nice dinner, a larger bowl with some fresh bread is satisfying as a meal. 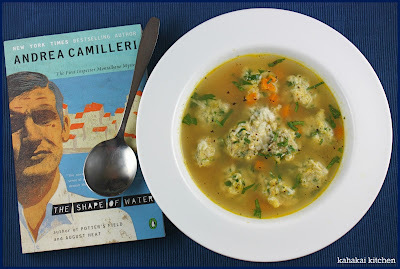 A definite make-again soup for me and a great way to start off my IHCC Ottolenghi journey. 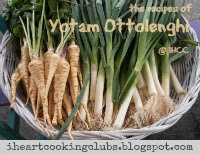 Starting April 1 and continuing through the end of September, I Heart Cooking Clubs is cooking the recipes of Yotam Ottolenghi. Join us every week for a different fun theme or drop by whenever you want to explore the recipes of an amazing chef with a wonderful group of people in a positive environment. I'm posting a day early for IHCC to coincide with Souper Sundays but you'll be able to check out how everyone says welcome or Shalom Yotam Ottolenghi! by going to the post this week and following the links. 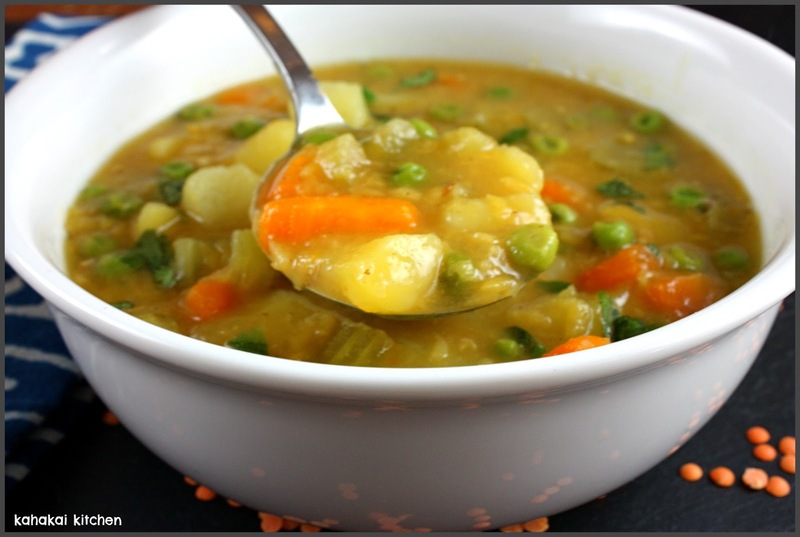 Easter Sunday is a little quiet in the Souper Sundays kitchen but we have three lovely soups waiting--let's take a look. 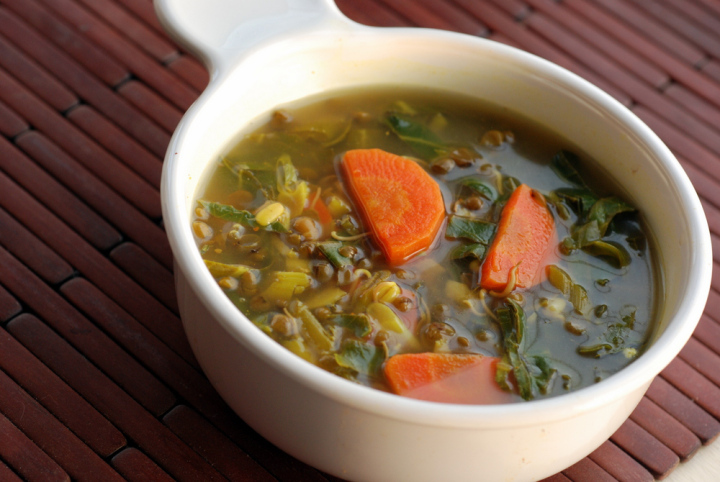 Janet of The Taste Space kicks us off with this nourishing bowl of Indian Sprouted Mung Bean Stew with Greens and says, "I was drawn to this Indian mung bean stew for its simplicity but I knew it would not be lackluster. Instead of the typical red lentil curries I adore, this is a brothy soup. A flavourful broth is created from fennel, cumin and ginger. Indian cooking doesn’t always have to be thick curries. Carrots and collards add colour and mung beans make this filling. Lemon juice brightens it up. The curry powder is added as a finishing spice, at the end of cooking, for a different twist to the soup." 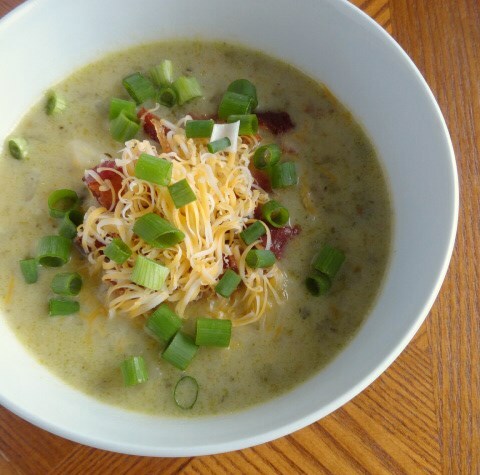 A new face to welcome to Souper Sundays is Brittany of Brittany Cooks, joining in with this hearty Cheesy Green Chile Potato Chowder. She says, "Since it's snowing here in Cincinnati (is it spring yet?? ), I thought it would be okay to share another soup recipe before things start to warm up. The soup alone is flavorful and filling, but adding the toppings at the end is what makes it awesome! If you're still bundled up and scraping ice and snow off your car like me (sigh), I think a hearty bowl of this soup will help you get through the last bits of winter. If you're enjoying warmth and sunshine, know that I am incredibly jealous!" Welcome Brittany! 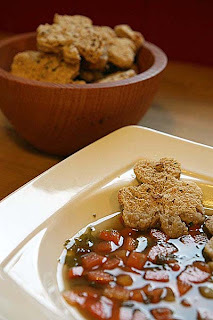 Tigerfish of Teczcape - An Escape to Food heads to Tuscany with her dish saying, "This Tuscan Bean Soup recipe is adapted from Saveur.com and I enjoyed every part of it. I have actually cooked it many times, more frequently in the winter months of December, January and February when such a hearty and wholesome soup is called for. That said, it is suitable anytime if you are a "soup" person, like me. ... 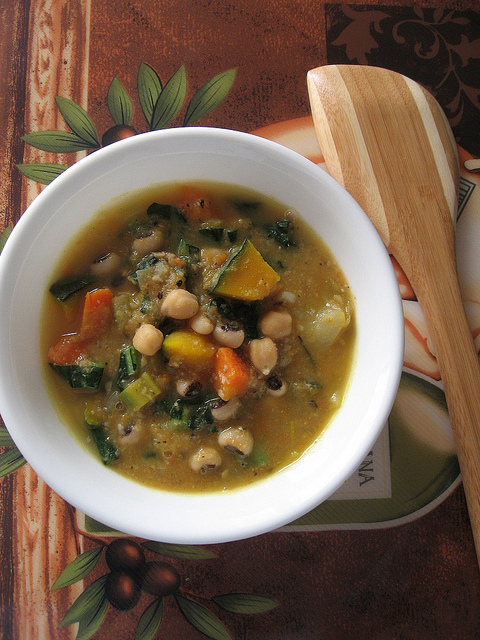 This soup is a one-pot, rightfully balanced with vegetables, beans (proteins) and carbs (potatoes). Thick and chunky but without the use of any cream!" Thanks to Janet, Brittany and Tigerfish for joining in this week. If you have a soup--or salad or sandwich that you would like to share, just click on the Souper Sundays logo on the side bar for all of the details. Happy Easter Sunday and have a happy, healthy week! Six months cooking along with the recipes of Indian chef Madhur Jaffrey at I Heart Cooking Clubs comes to an end this week as we move on April 1 to our new chef Yotam Ottolenghi. Madhur and I have cooked together in the past and have always gotten along well. She has plenty of vegetarian and vegan recipes to choose from and others can be easily adapted to fit my needs. I know to cut down the butter and oil (considerably sometimes), and her recipes always seem to work out great for me. 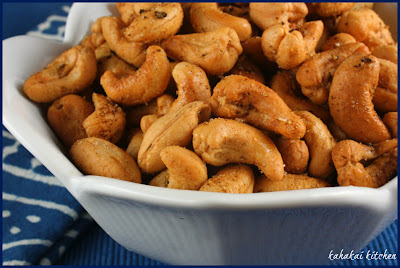 These cashews are meant to be deep fried and I am sure they are delectable that way. But my body on lots of oil is not, so I chose to roast them in the oven instead with just a little safflower oil. (My changes are in red below.) Same great flavor--much healthier to munch on. I think these would be even more terrific with some dried tart cherries or cranberries mixed in. Jaffrey says, "Cashews that have been freshly fried at home have an exquisite taste--far better that that of the canned or bottled varieties. The spices here are typical of many North Indian snacks--salt, pepper, cayenne, and the wonderfully aromatic roasted cumin." Put a sieve on top of a metal bowl and set it near the stove. Line two plates with paper towels and put them nearby. Heat about 2.5 cm/1-inch of oil in a deep 20cm/8-inch frying pan over medium heat. When hot, put in all the cashews. Stir-fry them until they turn reddish-gold, This happens fairly fast. Empty the contents of the frying pan onto the sieve to drain the oil. Lift up the sieve and shake out all of the extra oil. 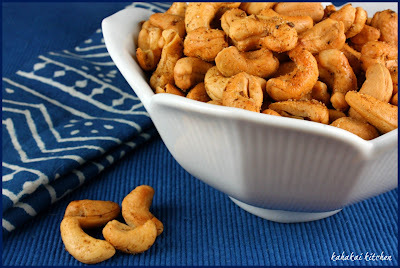 Spread the cashews out on one of the plates and sprinkle the salt, pepper, cayenne and cumin on them. Mix well. Slide the cashews onto the second plate, this will take more of the oil off them. Serve cashews warm or after they have cooled. Note: The oil used for frying may be reused. Notes/Results: Pretty addicting--especially when warm. These nuts are more savory than spicy even with plenty of black pepper, so if you really want spicy, up the cayenne. I have a cumin fetish so adding the extra flavor and texture of the seeds to the ground cumin worked well for me. Easy, no mess from the hot oil, and fun to much on, I will make these again. 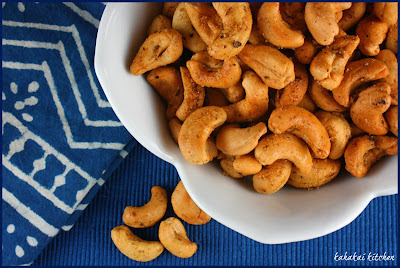 The cashews, still warm from the oven, are the perfect snack to munch on and contemplate my Top 5 Favorite Madhur Jaffrey recipes from the past six months of cooking along with her at IHCC. Madhur and I made a great team--I really liked every recipe I made, but these five (in no particular order) plus an honorable mention are the ones I still think about, crave even, and are worthy of a shout out. 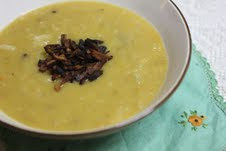 I clocked in several Jaffrey soups over the past six months, but my favorite was my vegan version of Mulligatawny Soup. So thick, hearty and full of flavor. This soup may have finally convinced my 81 year-old mom that she does indeed like curry despite living her life thinking she hated it. ;-) Jaffrey's "My Cream of Tomato Soup"--an Indian-spiced variation would come a close second to the Mulligatawny in the soups I made with Madhur. Perhaps the prettiest Jaffrey dish I tried were these golden-hued Pears Poached in a Saffron Syrup (Zaafraani Nashpati). So simple and the cardamom flavor really came through. I think they made an elegant presentation on a white and blue setting. Speaking of cardamom, it was also highlighted in these homey Cardamon-Cinnamon Apples with Sweetened Yogurt & Pistachios (Sev Ka Murabba). I reduced the butter and added dried cherries for color. 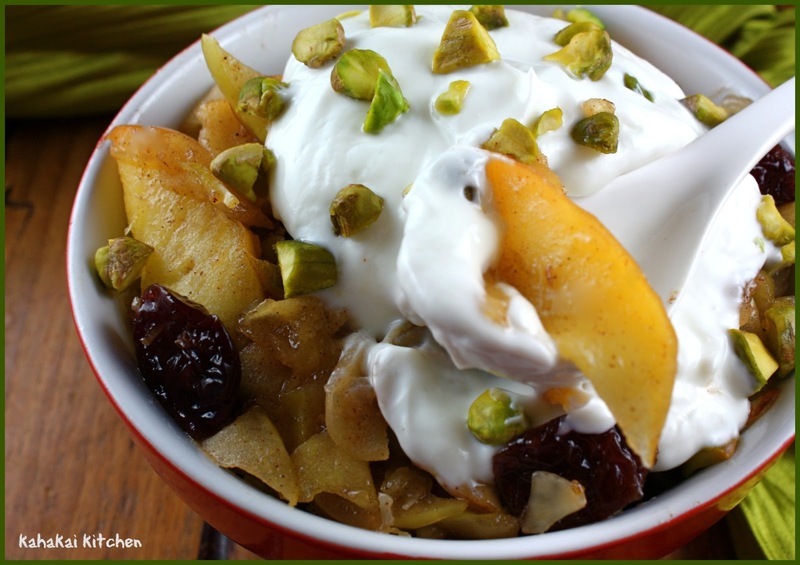 Served with honey-sweetened yogurt and chopped pistachios, these were wonderful comfort food. 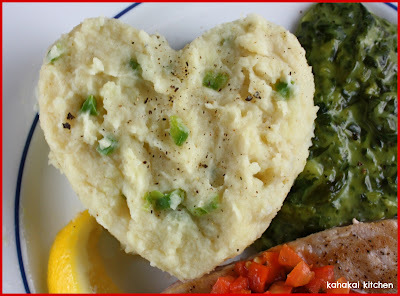 When it comes to comfort food, nothing says love to me like mashed potatoes, and these easy Indian Mashed Potatoes (Mash Aloo) were one of my favorite simple Jaffrey side dishes. I made mine vegan and loved the lemon juice, garam masala and green chile flavors. They elevate your standard bowl of mashed potatoes. 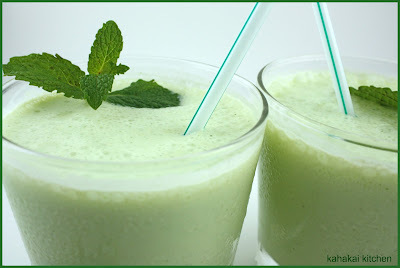 I am used to a sweet fruity lassi so I was taken with this unique and pretty Pale Green, Spicy, Minty Lassi (Hari Lassi), combining tangy, spicy and minty flavors in one very refreshing drink. Bookmark this one for a hot and humid summer day. Honorable Mention: Tandori-Style Tofu Kebabs. Yes, this originally shrimp dish that I adapted for tofu was delicious enough to gain an honorable mention. Grilled to be crispy on the outside and creamy within, this tofu had a ton of flavor. If you think you don't like tofu, this is the dish to give it another chance. Check out what the other IHCC participants did for their last Jaffrey posts by going to the IHCC site here, and following the links. If you are a fan or have been wanting to cook along with Ottolenghi, please join us next week! I love a good sparkly chick flick and I really love How to Lose a Guy in 10 Days, the Food 'n Flix selection for March. I don't own this movie, but it is one that I turn the channel to whenever I come across it on the television. Thus I have maybe watched the entire movie in a sitting only a couple of times but, I have seen the various bits and parts of it way too many times to count. Yes, it's silly and sappy, but it doesn't fail to make me smile. 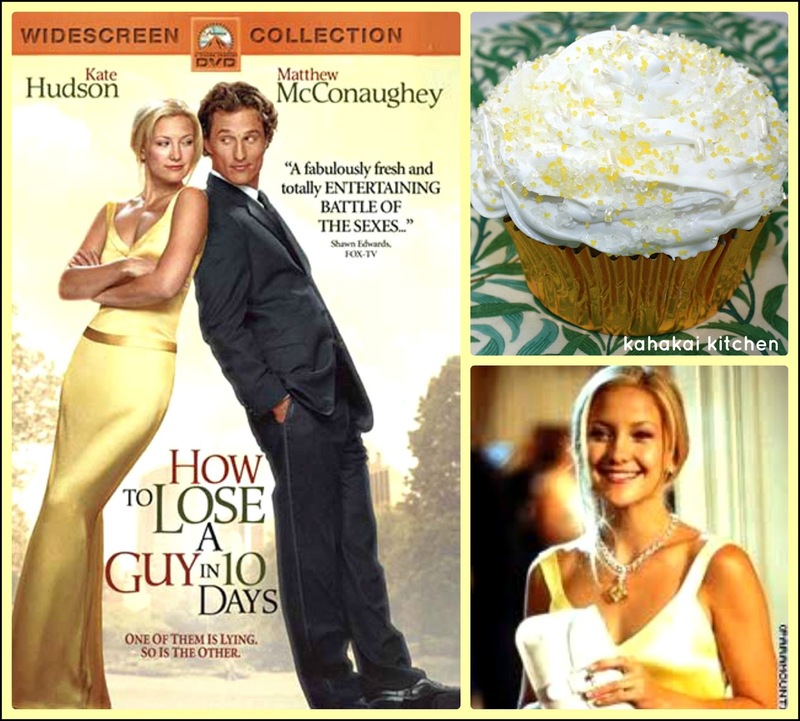 Kate Hudson, at her golden, sparkly best is Andie Anderson, the "How-To Girl" for Composure magazine, writing Cosmo-style articles on dating, fashion and other fluffy topics. Andie wants to be a serious journalist and write about more important things, but ends up assigned an article on How To Lose a Guy in 10 Days--using all the crazy dating mistakes women make that drive men away. Matthew McConaughey, all drawling cocky charm, is Benjamin Barry, an advertising executive who wants to handle more prestigious accounts than the sports and beer-related ones he has been getting. After a bet with his co-workers, Benjamin will get a chance to pitch a diamond campaign if he can make a woman fall in love with him before the company party in 10 days. Of course, the two end up dating each other under these false pretenses with Andie trying to figure out why Ben won't break up with her already and Ben trying to figure out why the cool girl he met keeps getting all psycho on him. Of course the usual rom-com antics ensue. The movie is predictable but fun. Andie's over the top antics like getting baby pictures from Ben's mom and making a scrapbook with wedding photo mock-ups and pictures morphing her and Ben to predict what their children will look like (pretty scary actually), getting them a little ugly/cute dog Krull and dressing them all up in matching Burberry plaid, and crying over their dead "love fern" ("Our love fern! You let it die! ), etc. make me chuckle. Ben starts out as kind of a jerk in the beginning, but is quite likable by the end and it's entertaining to watch him squirm with Andie's bizarre behaviors. Until our host for March, Tina of Squirrel Head Manor picked it, I never thought about How to Lose a Guy in 10 Days as a foodie movie, but surprisingly it does have a decent food presence--from Ben cooking his special lamb dinner and Andie pretending to be a vegetarian and singing "Mary Had a Little Lamb"--resulting in them ending up at a vegetarian restaurant the next date, to Andie exchanging all the typical poker party snacks at Ben's boys night with cucumber sandwiches and a veggie plate. For my cupcakes: I used this recipe for Magnolia's Vanilla Cupcakes and Vanilla Buttercream found at Food Network. The recipe made a light cake, maybe slightly dry--but the jam filling helped. 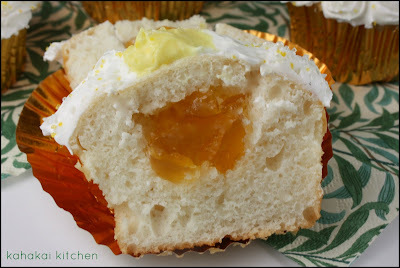 To fill the cupcakes, I cut small cones out of the center of the cooled cupcakes and removed the excess cake, filled the holes with a small spoonful of a locally-made lilikoi (passion fruit) jam, and put the top of the come back on the cupcake. (You could of course use any flavor jam but I was going for a golden color and the tangy flavor of the passion fruit cuts some of the sweet.) The amounts of sprinkles I used (on the cupcakes I photographed only) were a bit heavy handed for eating, but I wanted them as glitzy as possible. 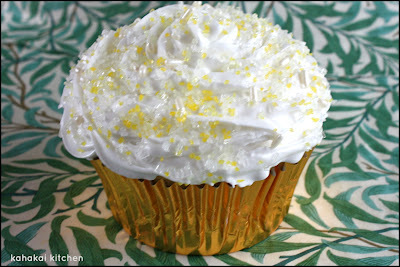 The frosting was sweet and creamy--next time I would make it a bit stiffer to hold the piping better. 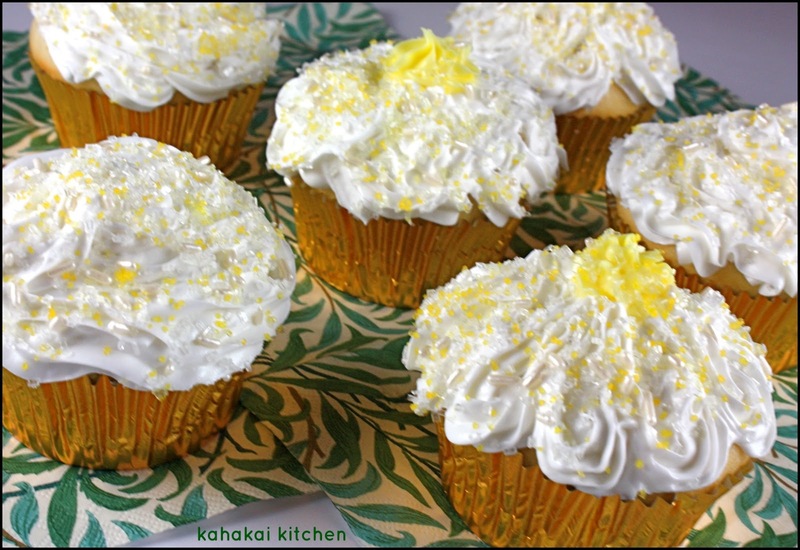 I'm not sure I would make this recipe again, I have had better vanilla cupcakes, but they were fun to play with. OK, I am just going to say it now... this Sciuscieddu (Sicilian Egg & Breadcrumb Soup) won't win any beauty contests. It did look better in the photos than I thought it would and that's not saying a lot. The little "dumplings" of parsley, garlic, pecorino cheese and egg fall apart in the broth pretty easily--but, what it lacks in the looks department, it makes up for in comforting, homey goodness, and it's my entry for this round of Cook the Books: The Shape of Water by Andrea Camilleri. 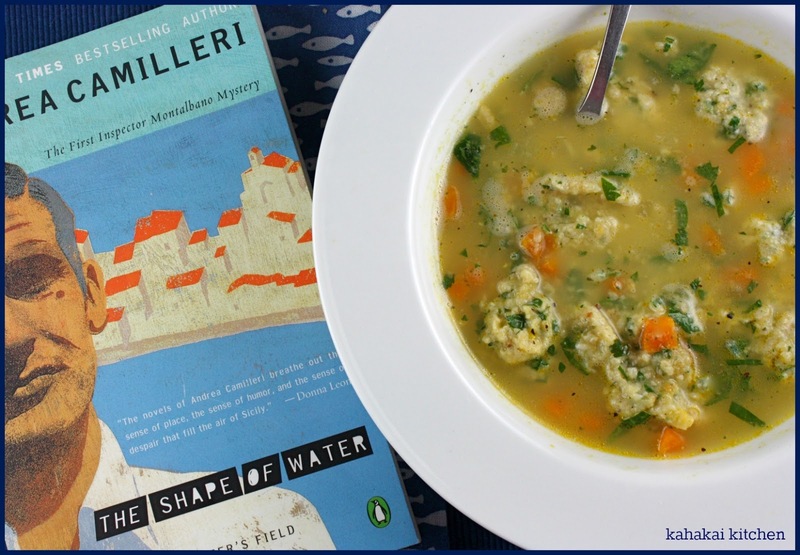 The Shape of Water is the first book in the Inspector Montalbano mystery series,set in Sicily and following the exploits of an Italian police Inspector who seems to appreciate a good meal. It's a popular series in Europe and has even been made into an Italian television series, and has developed a following here in the U.S. In The Shape of Water, Montalbano is on the case of the death of a local politician, Silvio Lupanello, that at first seems to be a heart attack. Being that his car was found in "The Pasture"--a rough area known to be used by working girls and drug dealers and the fact that Lupanello was found with his pants down around his knees, it seems like something more may have happened and rumours start to fly. Due to the salacious nature of the incident, Montalbano's superiors want it closed as quickly and quietly as possible, but Montalbano is dogged in his pursuit to find out what truly happened and solve the case. It took me a while to get into the book--I found some of the details and the number of different characters difficult to follow and I kept waiting for the food. 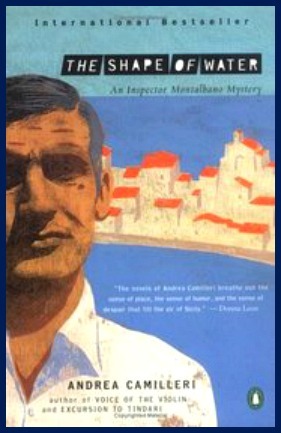 Eventually the food gets there, Montalbano certainly enjoys it, whether it is meals out from trattorias, food cooked and left for him by his housekeeper, a simple self-cooked dinner of pasta with garlic and boiled shrimp, dinner at the police commissioner's house, frequent cups of coffee and even a favorite snack of roasted chickpeas and pumpkin seeds. Food appears in some of the descriptions--he was as "cool as a cucumber" and a "red fillet-of-sole" car. Montalbano is a great character with many layers and a good sense of humor and justice. By the end, I found myself quite fond of him and willing to follow him again on at least another adventure. Not sure that this series will become an addiction for me, but I am glad to have been introduced to it through Cook the Books and this selection's host, Rachel, The Crispy Cook. I did get a little stuck in what to make as my dish-inspired by the book--I just couldn't decide. Since the book is set in Sicily, I looked up common Sicilian food on Google and came across this article written by a University of Massachusetts Journalism student on typical dishes. One in particular caught my eye, a soup called Sciuscieddu--supposedly a Scicillian version of egg-drop soup. "Sciuscieddu (Egg-bread crumb soup): This is a thicker version of the Roman egg-drop soup called stracciatella. Garlic and parsley are chopped together to create a mince, and added to a mixture of eggs, grated pecorino cheese, and bread crumbs. This mixture is dropped by spoonfuls into boiling chicken or beef broth and served immediately." 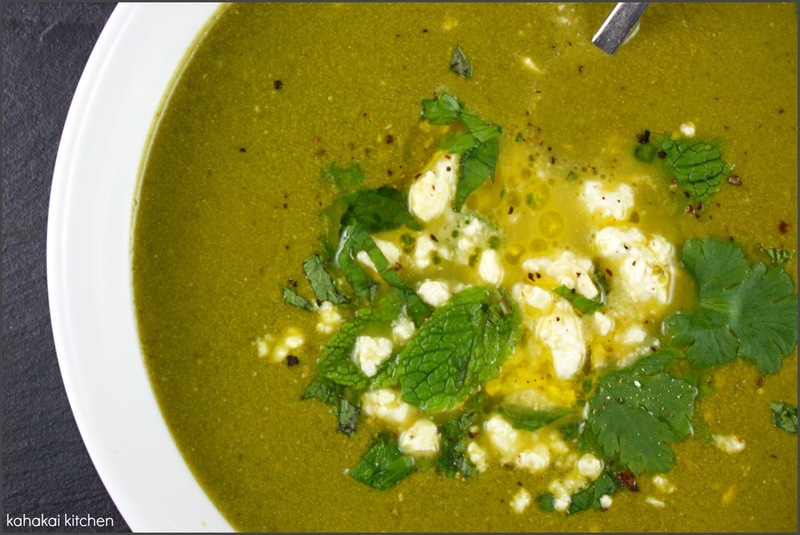 In a large saucepan or soup pot, heat the olive oil over medium-high heat. Add carrot and onion and saute until softened, about 7 minutes. Add garlic and saute another minute. Add water, soup base and pepper and bring to a boil. Reduce heat and simmer, covered for about 15 minutes. Set aside if needed until you are ready to cook dumplings. 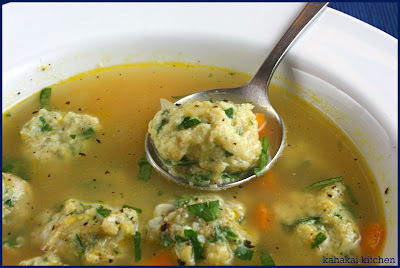 Bring soup broth back up to a soft rolling boil and carefully add the dumplings, cooking for a minute or two. Taste for seasoning and add additional salt and pepper if needed. 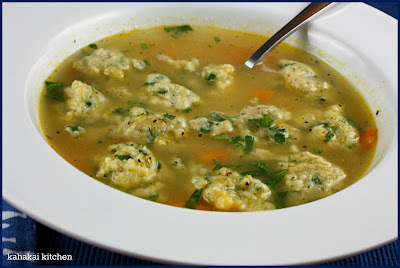 Gently ladle dumplings into serving bowls and top with additional chopped parsley and grated pecorino cheese. Serve immediately. Notes/Results: A very satisfying and comforting bowl of soup that has great flavor. The dumplings break apart a bit which thickens the broth and even if it doesn't look so neat and tidy, it tastes great. Not sure how traditional this dish is or my version of what I think it might be is, but I was pretty pleased with how it turned out. I think Montalbano might enjoy it after a long day of investigating. I will make this again--with all the garlic and soothing thickened broth, it would be a great soup when you are feeling rundown or sick. 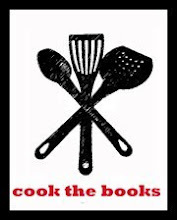 The deadline for this round of Cook the Books is tomorrow, Monday, March 25. Rachel will be rounding up the entries on the CTB site soon after. 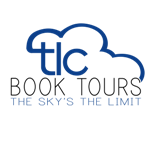 If you didn't get a chance to join us for this round, the April/May selection is The Color of Tea by Hannah Tunnicliffe, hosted by yours truly! I foresee lots of bakery goodies, tea and macarons for this upcoming round! We have some good friends waiting in the Souper Sundays kitchen--let's see what they brought! Potato, Cabbage and "Facon" Soup veganized by Johanna at Green Gourmet Giraffe, who says, "The soup took me far longer than the recipe suggested, as so often happens with my cooking. In this instance, I ended up serving E and myself dinner after Sylvia had gone to bed so we could enjoy it rather than gulping it down so we could put her to bed at a reasonable hour. The pureed potato made a creamy base for the soft cabbage and chewy tofu bacon. A soup with lots of interesting texture and plenty of flavour." Shaheen of allotment2kitchen is back with Spiked Milligan Soup and says, "I hummed at what to call this soup which was specially made for my St Patricks Vegetarian menu. I eventually had decided on Indian-Irish soup, but my husband a huge Spike Milligan fan called it 'Milligan soup'. ... Well why not? So in memory of the world premier Irish-Indian, a root vegetable soup spiked with curried spices. ... A bowl was accompanied with chunky home-made shamrock shaped granary croutons." 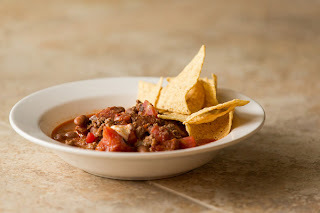 Pam of Sidewalk Shoes is here with a hearty bowl of chili from Nigella's Kitchen and says, "I found this Cheesy Chili recipe in the “What’s for Supper?” category. And that is what it’s for. When you want to get a quick and easy supper on the table, one designed to please children and adults. There is nothing complicated about this. It’s not very sophisticated, though the chorizo is a very nice touch. Served with some tortilla chips for scooping (or I like to break mine up in the chili) – it is comfort in a bowl." 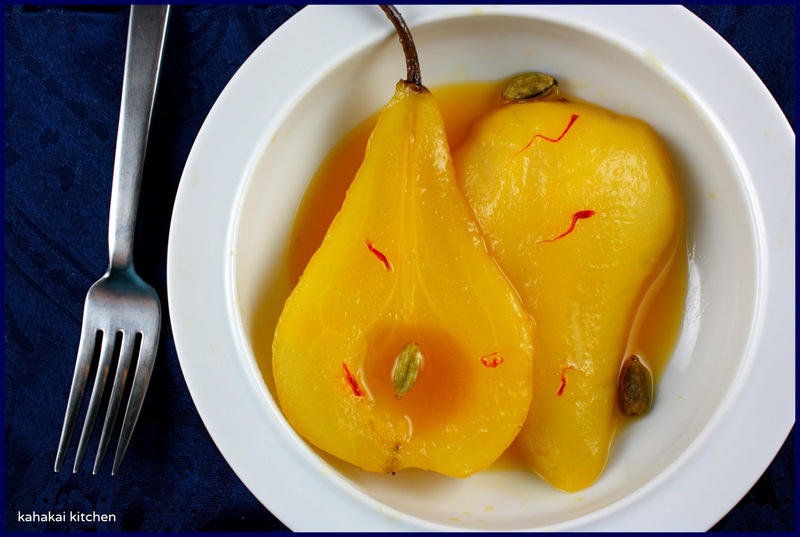 Please join me in welcoming Mira from Mermaid Cafe, a new blogger who is making her first appearance at Souper Sundays this week with a warming bowl of Butternut Squash and Chickpea Tagine. Mira says, "The one thing that I appreciate about this week's surprise blizzard was the (hopefully) last chance to curl up by my window with a hot and hearty bowl of stew and watch the giant blowing flakes of snow endlessly piling up outside." Welcome Mira! Simona of Briciole is here with a Bean and Albacore Tuna Salad (Insalata di Fagioli e Tonno). She says, "The combination of beans and canned tuna (we called it fagioli col tonno) reminds me of childhood summer vacations (vacanze estive), when salads of various kinds rotated on the menu. Its simplicity leaves room for interesting variations, like this one. 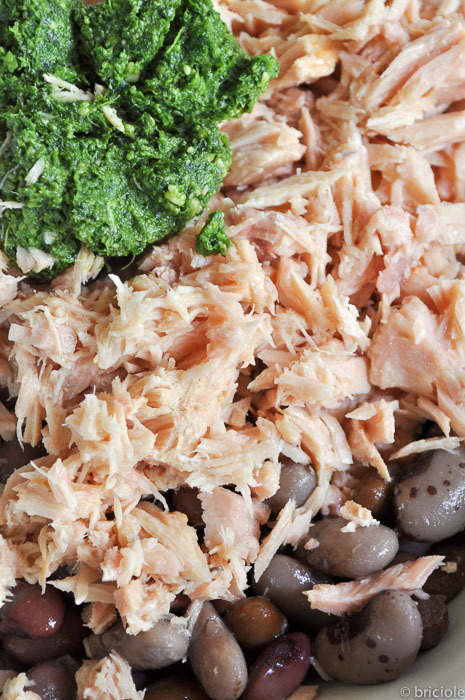 The baby kale pesto with cashews I described yesterday smoothes the edges of the two bold flavors of beans and albacore." From Tigerfish of Teczcape - An Escape to Food comes this colorful Salad of Fusili, Chinese Broccoli & Tomatoes. 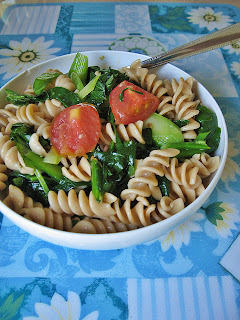 She says, "A warm fusili salad tossed with leftover "puttanesca sauce and gently blanched Gai Lan (Chinese Broccoli) can be put together in minutes, for example. If you wish to use Gai Lan in such a dish, a good preparation tip is to blanch the Gai Lan, then thinly slice (or make thin shavings of) the blanched stems and leaves before tossing them into the salad." And finally, an open-faced sandwich, this Tuna & Thyme Bruschetta from Graziana from Erbe in Cucina who says, "Sometimes we prepare often some recipes, completely changing the ingredients and keeping only the basic idea. 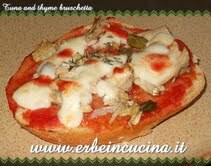 It's the case of this bruschetta, fast and tasty, that my mother called bread pizza. She used the classic ingredients of pizza capricciosa: boiled egg, ham, mozzarella, origano, but just like the pizza, you can vary the ingredients of this bruschetta as you prefer. 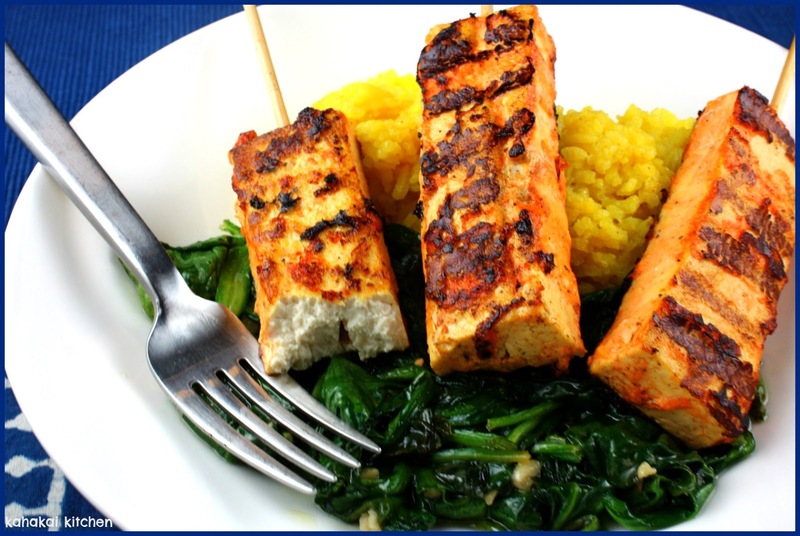 Over the years I have tried many different combinations, and this version, with tuna and thyme was very successful." Thanks to everyone who joined in this week! If you have a soup, salad or sandwich that you would like to share, just click on the Souper Sunday logo on the side bar for all of the details. Last year I finally saw my first Downton Abbey episode and was immediately hooked, catching up on the first two seasons on Netflix and watching the third season on PBS. (Don't let me get started on my feelings about the Season 3 finale...) The story of the British upper crust Crawley family and their downstairs staff quickly became an addiction. 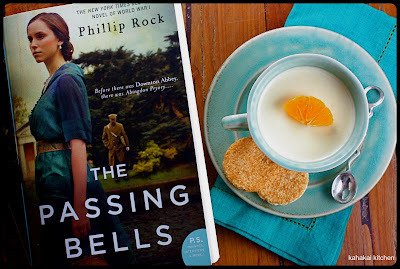 With the third season on PBS flying by, I was more than ready to host a book tour of The Passing Bells Trilogy by Phillip Rock strictly due to the cover tagline of "Before there was Downton Abbey, there was Abingdon Pryory..."
I wasn't disappointed--the books are a perfect fix for a fan waiting for the fourth season, similar in theme to Downton Abby but with their own original set of characters and storylines that dig deeper than a television program can. 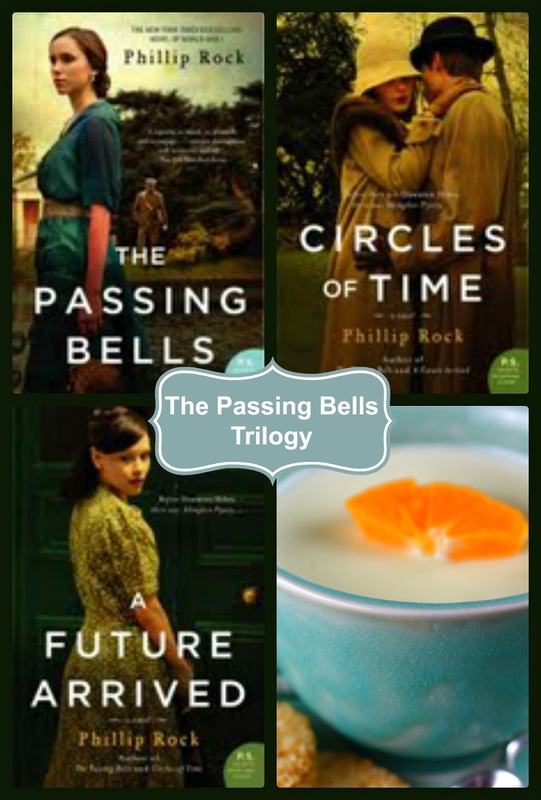 They came well before the series--first book, The Passing Bells, was written in 1978 and the other two volumes were published in the early to mid-eighties and they were all recently re-released, most likely due to Downton Abbey's popularity. The books follow the experiences of the Greville's, an aristocratic family residing along with their household staff, at the family estate Abingdon Pryory, and taking place in the years before, during and after World War I. A confession to get out of the way, I am only about halfway through the second book of the trilogy, Circles of Time, and the final novel, A Future Arrived, sits waiting on my nightstand. The books were somewhat delayed in arriving and although my tour date was kindly pushed out, illness, work projects, two sets of house guests and another bout of illness made getting through these lengthy books a longer process than I originally thought and frankly I don't want to rush them. Author Rock digs deeply into his characters and his descriptions of life in the grand Greville home both upstairs and downstairs, as well as the horrors that war brings are absorbing and moving. These are books to be savored and enjoyed with a spot of tea and perhaps a variation on a classic British dessert.They would appeal to anyone who loves Downton Abby, English period pieces, sweeping family dramas, and books set during the early 1900's and The Great War. Author Notes: Born in Hollywood, California, Phillip Rock lived in England with his family until the blitz of 1940. He spent his adult years in Los Angeles and published three novels before the Passing Bells series: Flickers, The Dead in Guanajuato, andThe Extraordinary Seaman. He died in 2004. Although food is not a focus in the books (so far), it is mentioned--lentil soup, roast duck, grouse, etc.--particularly in the meals shared and enjoyed, along with copious cups of tea and plenty of alcohol. For a recipe inspired by this British trilogy, I wanted something on the classic side. I first had a posset back in my early blogging days of 2008. A lemon posset from Jill Dupleix, a London-based chef. 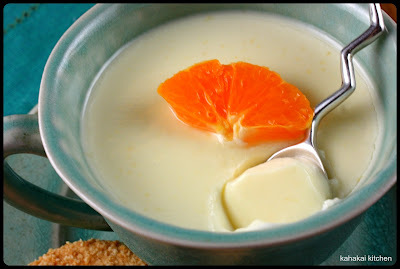 It's a simple and rich citrus pudding-like dessert--smooth, silky and delicious. 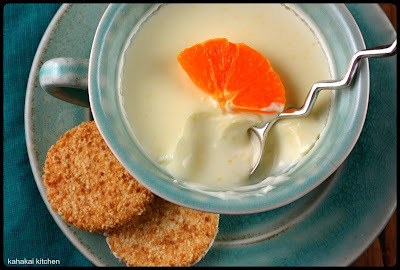 I was going through old magazines pulling out recipes when I found one for Tangerine Posset, then shortly after, my blogging pal Foodycat, made a drool-worthy Seville Orange Posset and it was settled--my book-inspired dish would be a sunny Tangerine Posset, using up the last of a big Costco bag of tangerines. Put the cream in a pan with the tangerine zest and bring to a simmer. Turn off the heat and leave to infuse for 20 minutes. Fish out the zest and bring the cream back up to just below boiling. Stir in the sugar and then the juices. The mixture will start to thicken so pour it straight into 6 small glasses or pots. Cool slightly then chill until set, about 3 hours. Notes/Results: Silky bright bites of bliss. 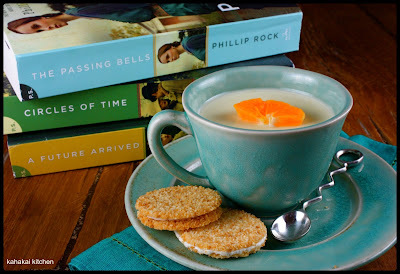 ;-) The sweet tangerine flavor comes through brilliantly in these little possets--so creamy and good. I may like these even better than the lemon version. The magazine recommended serving these with shortbread but I have become fond of these little coconut-lemon sandwich cookies from Safeway. Based on their ease to make and deliciousness, possets are a wonderful little dessert. I will make these again. Note: Review copies of The Passing Bells Trilogy were provided by the publisher and TLC Book Tours. I was not compensated for this review and as always my thoughts and opinions are my own.